This past weekend I celebrated our annual Mass in honor of Our Lady Queen of the Angels, patron saint of this great city of Los Angeles. And as I listened to the prophet’s words, it struck me that many good people are suffering in the Church today. It is not only the young people who have been hurt by members of the Church. So many ordinary Catholics are feeling angry and betrayed, walking in darkness, as if they are now living in a land of gloom. This has been a summer of sorrow for the Catholic Church in this country. 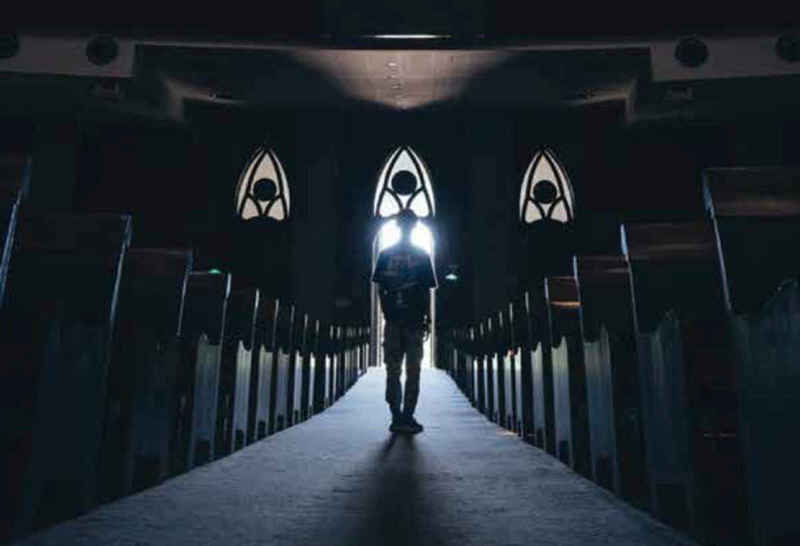 The scandals of recent months have exposed a deep strain of infidelity in the Church — people at every level of the Church not living the way the Gospel teaches us to live. In this moment it is hard to remember — but we must — that Jesus Christ is still the “great light” who comes to scatter every darkness, to shatter the chains that keep us from becoming the people that God calls us to be. We need that great light of Jesus Christ, now more than ever. Every time of crisis in the Church is a crisis of saints, a crisis of Christians not living out their baptismal promises, not striving for the greater things that we are made for. Now more than ever, we need to be saints — men and women striving to walk with Jesus and to lead holy lives in these unholy times. Nothing I am saying excuses us from addressing the abuses and injustices exposed by these scandals — especially the failures of transparency and accountability rooted in a culture of clericalism. The work of reform and renewal must begin with the bishops and the clergy. But it does not stop there. The deeper renewal we need is spiritual. And that means all of us. The foundation of true renewal in the Church is always a return to Jesus Christ — his person and mission, his life, death and resurrection for us and for our salvation. St. Paul said that God wants nothing else but our holiness. In a time of deep corruption in the Church, St. Catherine of Siena used to quote Paul’s words over and over in the prophetic letters she wrote lay people, priests, bishops and even the pope. Now is a time to pray and study our history. This is not the first time that scandal and evil have entered the Church. We need to learn from the holy men and women who have gone before us, the saints that God raises up in every age to reform and renew his Church. I have been reflecting on St. Charles Borromeo, who was the bishop of Milan, Italy, in the years after the Council of Trent. He confronted a clergy and a Church badly in need of repentance and renewal. Like St. Catherine — and all the saints of Catholic renewal — he taught that true reform starts within. This is the task for each one of us today. We need to start with ourselves and make a new commitment to holiness, to becoming saints in our ordinary lives. It is time for everyone in the Church to get back to this basic understanding — that striving to be saints is what it means to be a Christian. Again, I need to be clear: as my brother bishops in the leadership of the U.S. Church have been saying, we are committed to working with Pope Francis to correct abuses and to change the way we do things in the Church. But the deeper renewal of the Church begins in the interior conversion of your heart and mine. This past weekend I also had the joy to join hundreds of young people at the Cathedral of Our Lady of the Angels to venerate the World Youth Day Cross, which is on a “pilgrimage” around the world on its way to Panama, where the next World Youth Day will be celebrated in 2019. These young people — so filled with joy and hope and loving hearts — are the reason that the reform of the Church cannot wait. Pray for me this week and I will pray for you. Let us keep praying for the Holy Father and the bishops. And let us ask our Blessed Mother Mary to help us to be great saints, to be heroes and healers. These times in the Church demand it, and this is what we are made for.